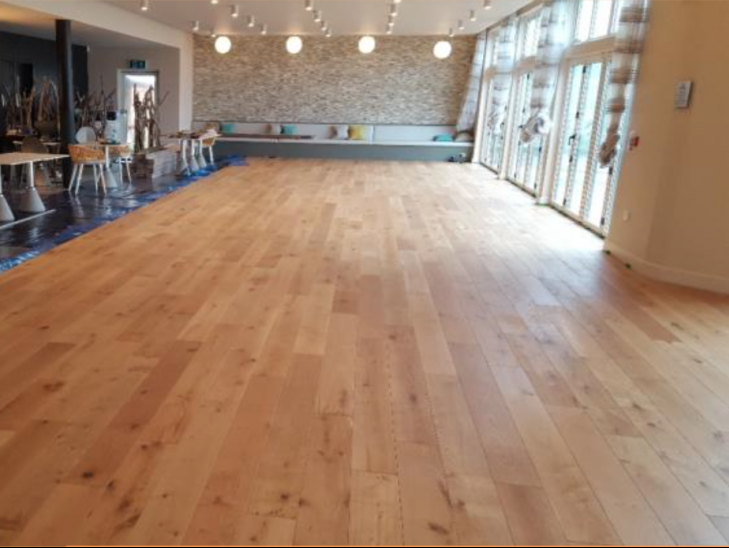 When the Una Pizza Restaurant in St Ives, Cornwall, required new flooring there were several important requirements, all of which InstaLay was able to meet. 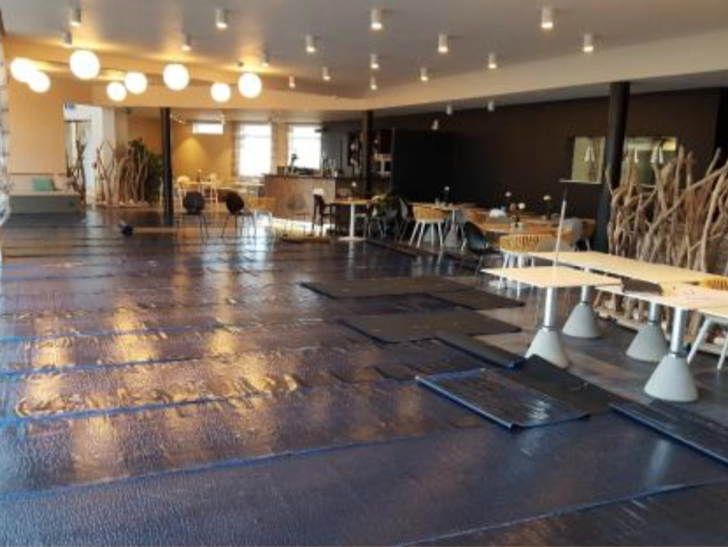 To minimise trading downtime, the InstaLay was simply loose laid over the existing vinyl floor to provide a rapid installation. This avoided any sub-floor preparation, damage to the vinyl flooring or the use of any messy traditional adhesives. The wood flooring boards were positioned in place, the release film was pulled from under the planks exposing the adhesive membrane and the planks were secured by applying pressure to fully activate the adhesive. This created an enhanced floating floor by fully bonding the entire underside of the floor together, reducing reflected walking sound to create a quiet and pleasant dining environment. There was also underfloor heating within the sub-floor so, an installation system with a low thermal resistance was needed to allow good thermal transmission and ensure economical heating of the space. It ensured a quick, clean installation that could be walked on immediately. Its excellent acoustic performance produces low reflected walking sound. It is hygienic, resistant to decay and has low VOC’s for a healthy environment. It ensures good thermal transmission of underfloor heating. 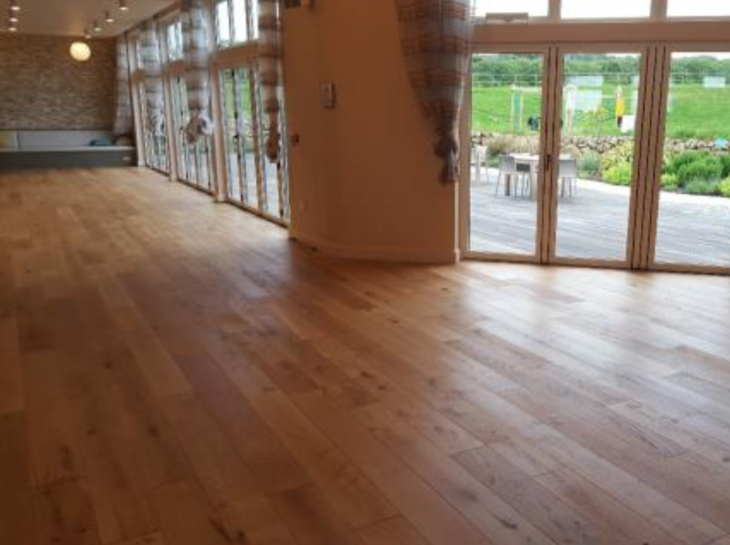 The restaurant owners were delighted with the speed of installation and the look and feel of the finished floor.